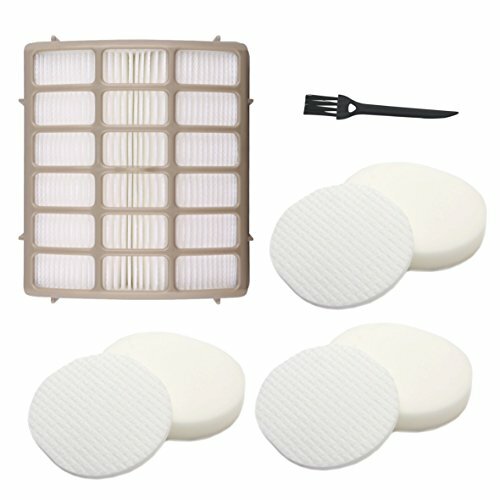 3 Foam & Felt + 1 Hepa Filters, Shark Navigator Rotator Professional Upright Vacuum NV70 NV71 NV80 NVC80C NV90 NV95 UV420 Filter Kit Replacement Part XFF80 XHF80 by Dttery at High IQ Business Network. Hurry! Limited time offer. Offer valid only while supplies last. High Quality and Long Life Warranted. Fit Model: Shark Navigator Professional Upright Vacuum NV70. Shark Navigator DLX Upright Vacuum NV71. High Quality and Long Life Warranted. Shark Navigator Professional Upright Vacuum NV70. Shark Navigator DLX Upright Vacuum NV71. Shark Navigator Professional Upright Vacuum NV80. Shark Navigator Professional Upright Vacuum NVC80C. Shark Navigator Professional Upright Vacuum UV420. Shark Rotator Professional XL Upright Vacuum NV90. Shark Rotator Professional XL Upright Vacuum NV95. Replaces Part # XFF80 XHF80. Contains 3 Foam & Felt and 1 Hepa Filter Kit, and A Cleaning Brush. If you have any questions about this product by Dttery, contact us by completing and submitting the form below. If you are looking for a specif part number, please include it with your message.